I sit silently in the bushes and try to breathe really quietly, as it is the hardest thing to do. Somewhere over my head, twigs start to shatter and I hold my breath. I have no fear. I’m not hiding from anyone or anything. I just want to see Sylvia Nana with my own eyes. I was told, that it can sing beautiful songs. But after that moment, there is silence again everywhere, but my heart is pounding as I wish to see the light brown bird. Perhaps you do not understand this hunting enthusiasm yet, but just play Wingspan board game and you will soon get it. 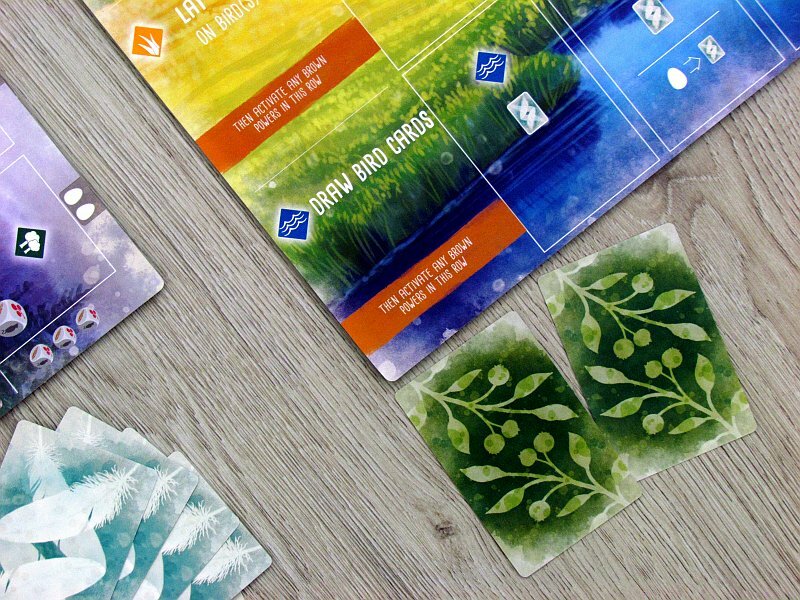 The game was created by Elizabeth Hargrave and its quality is suggested by the fact, that Jamey Stegmaier published it under wings of his Stonemaier Games copany. 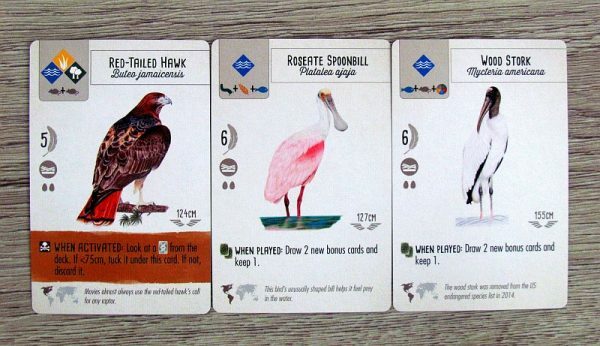 Team of authors was responsible for illustration, because there was a lot of work on the birds. The pictures are signed by Natalia Rojas, Ana Maria Martinez Jaramillo and Beth Sobel. Game was published at the beginning of 2019. Lid already shows extended wings of one of the main heroes of the game. Under the lid, there are five large player boards folded in half and each contains a number of card positions. 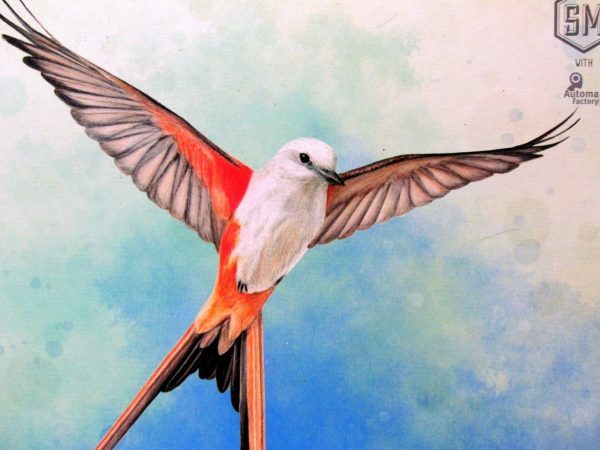 There are almost two hundred birds chattering inside the box and most of them offer unique portraits of the individual birds of our planet. 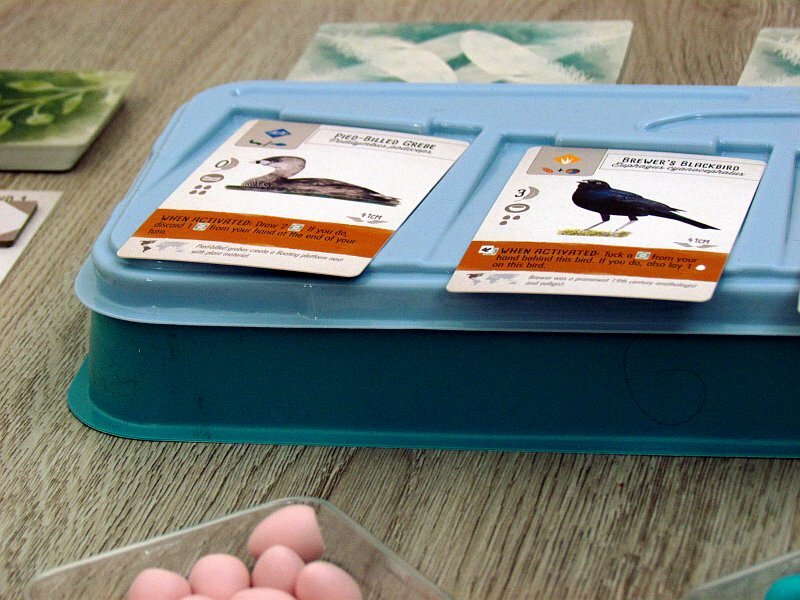 Top of the closed plastic box, players place a random set of three bird cards from the shuffled deck to create a starting offer. 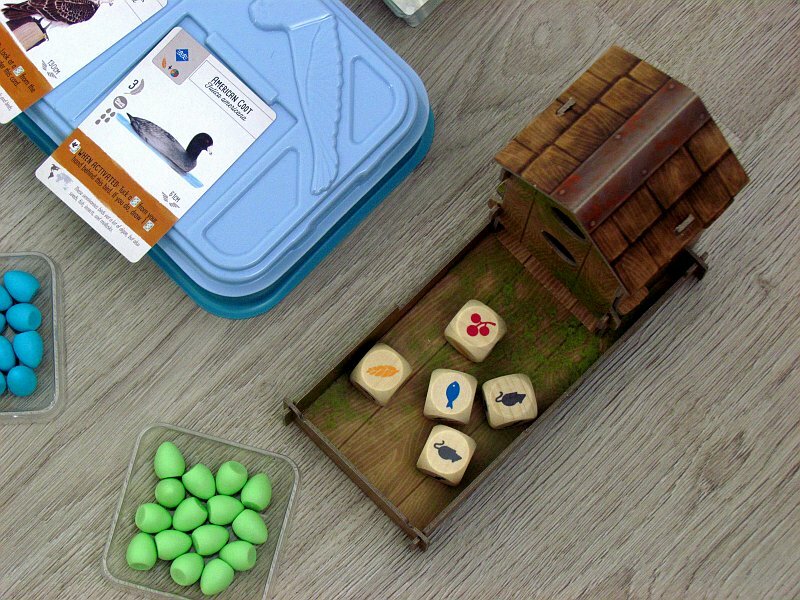 Players place food and egg tokens in the center of the table, but also a target board, that should be filled with goal tokens. Cardboard dice tower is set next to it. Players will receive a set of eight cubes of their chosen color, five different food tokens, but above all random five bird cards. 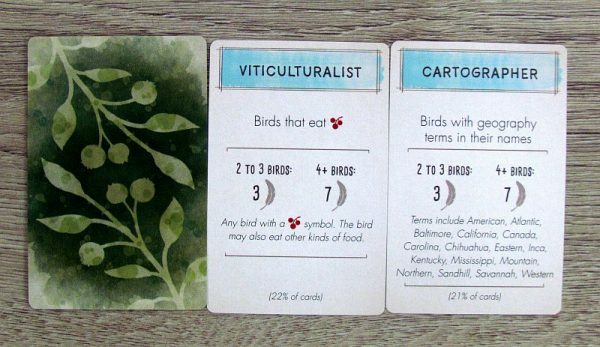 Of these, player can leave keep any number of cards, but each bird in his possession will eat one of the feed tokens he received earlier. 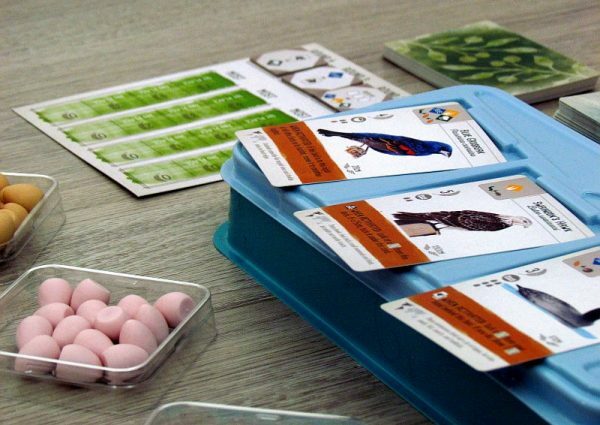 Therefore, player can own exactly five pieces from a combination of food tokens and bird cards. 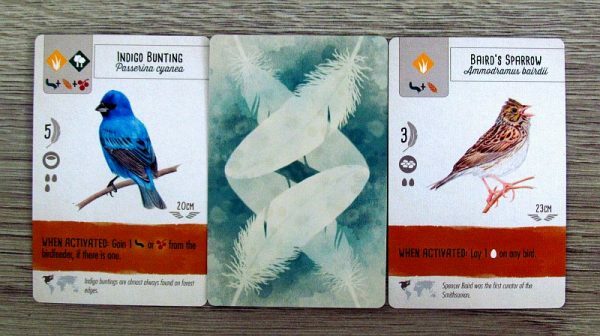 In addition, everyone has a choice of two action cards to choose from. The whole match is divided into four rounds, in which players have at their disposal eight cubes representing eight available action turns. When they get to act, they can spend one cube for any of the four available activities. 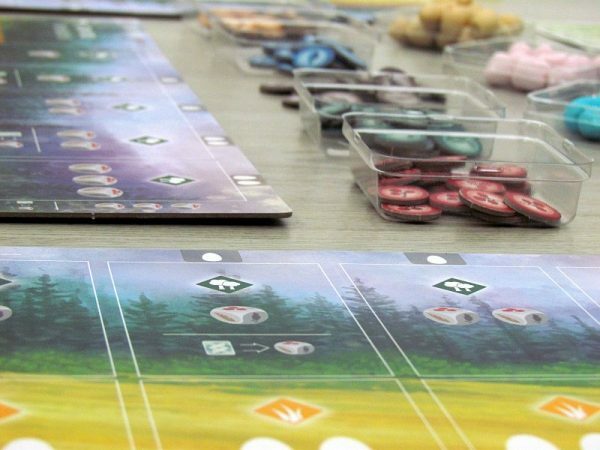 The options are clear and listed on the left side of the gaming board. Basic one is to take one of the birds from the hand and add it to player’s aviary. 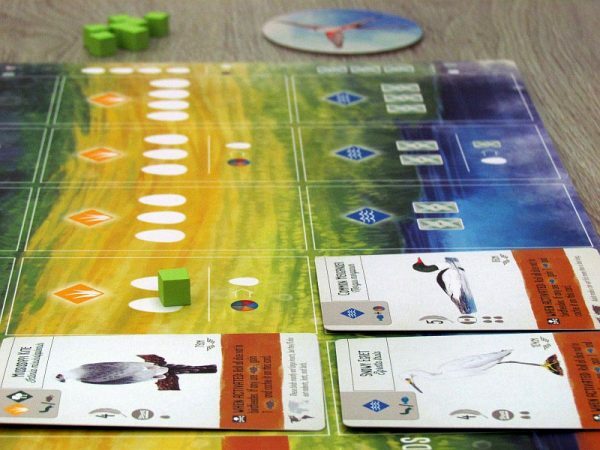 It must always occupy the leftmost position in the line, that is the natural environment of the bird (sometimes the player has more choices). This is printed in the upper left corner along with price of the food. This is, because the card is not free. The player has to pay tokens indicated in the upper left corner and also the number of eggs above the column, where the card is played. As a reward, any immediate effect printed on the card will be immediately obtained. All upcoming actions then use these lines of already played birds and activate their unique abilities. Moreover, individual actions come with their own specialties. Each of them also belongs to one specific line on the board and the first one is about collection of food. 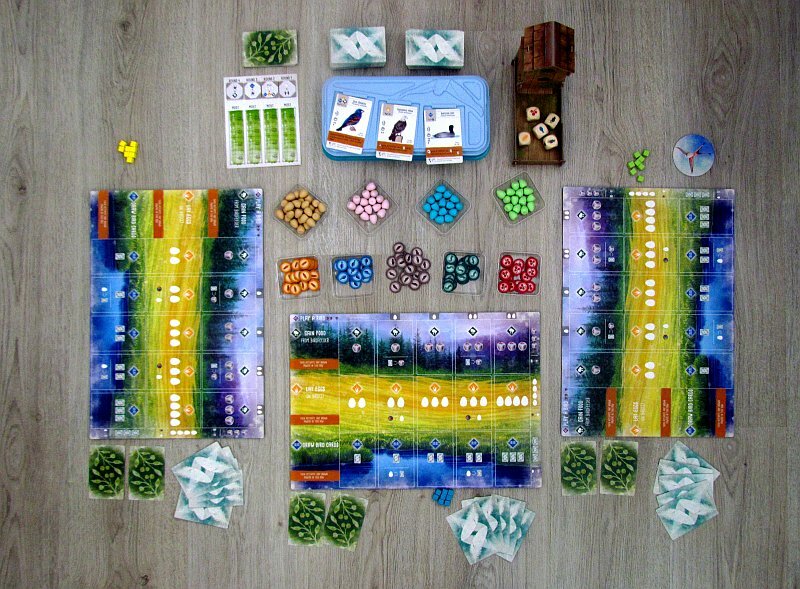 The player places his cube in the first free window in that row, giving him a chance to reach into the feeder. 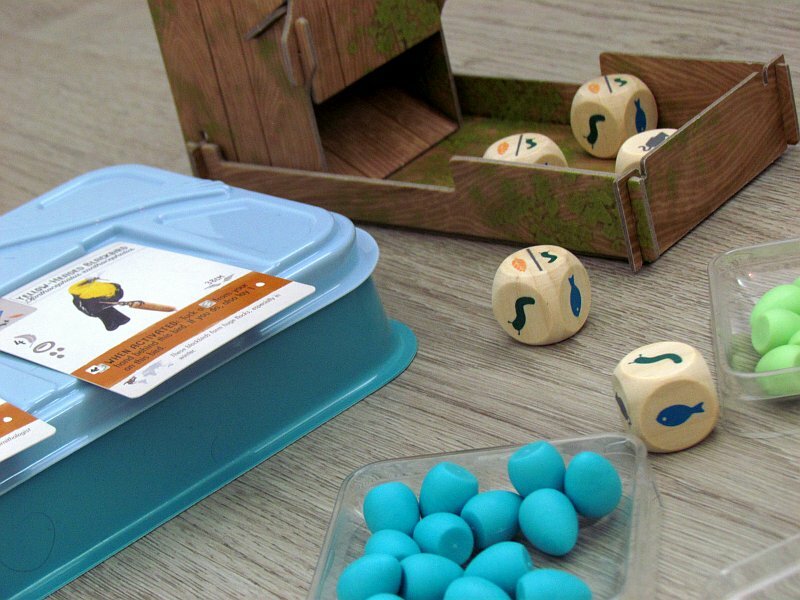 This is a cardboard tower with dice, in which there are always some dice to choose from. They represent food available on the meadow for hungry beaks. The player can then take one of the offered dice and get a matching token of food. In addition, all bird cards are then activated one by one from right-to-left. 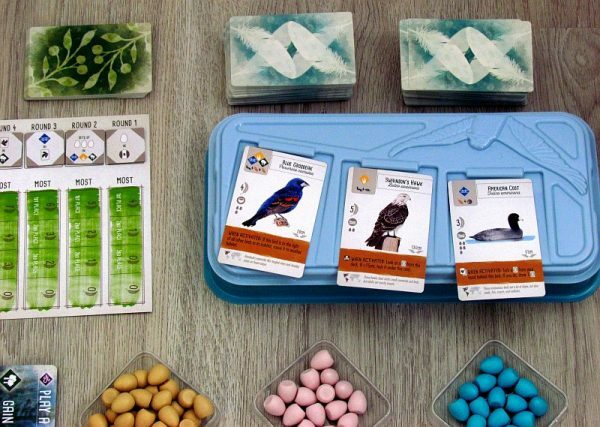 When player has enough food, his birds can finally lay eggs. This action relates to the second line of gaming board. Number of eggs being laid is again controlled by first field in the row, that is free. 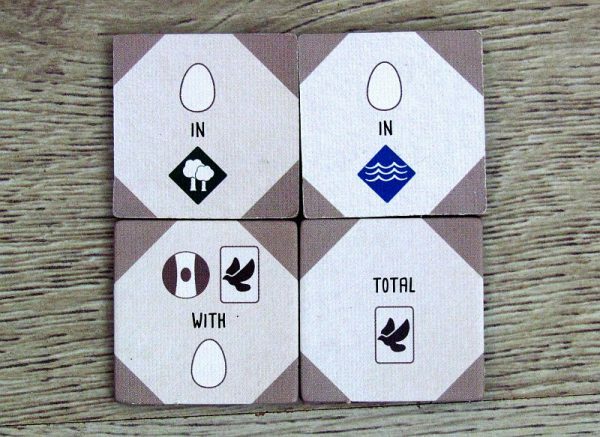 This egg can then be placed on any bird on player’s board, but only if it does not exceed the limit printed on the card. All cards in this yellow line then activate from right to left. 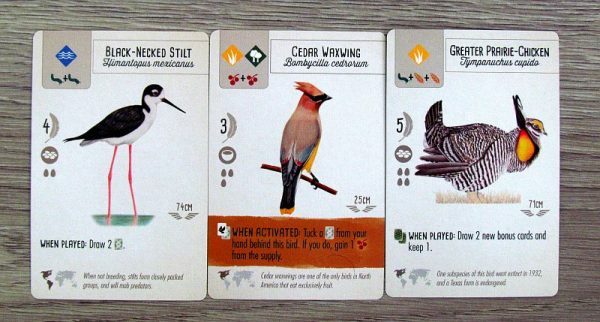 Last action option is the chance to get new bird cards in hand. Here again, everything works on the mechanism of placing cube on first empty box in the third row. And all birds are then activated in this line as usual. As soon as eight cubes are placed in this way, the time has come for the end of the round. At this point, all attention is drawn to goal tokens, specifically to that relating to the currently played round. Targets refer to a particular type of environment (row) or nest, that is printed on the bird card. Players will finally get points for their achievements and use one of their cubes to indicate their amount. Thanks to that, they have one less available to play with in the next round. At the end of the whole game, after the four prescribed rounds, players will count all the points from past rounds, but also for individual birds, bonus cards and the remaining raw materials (egg or food). 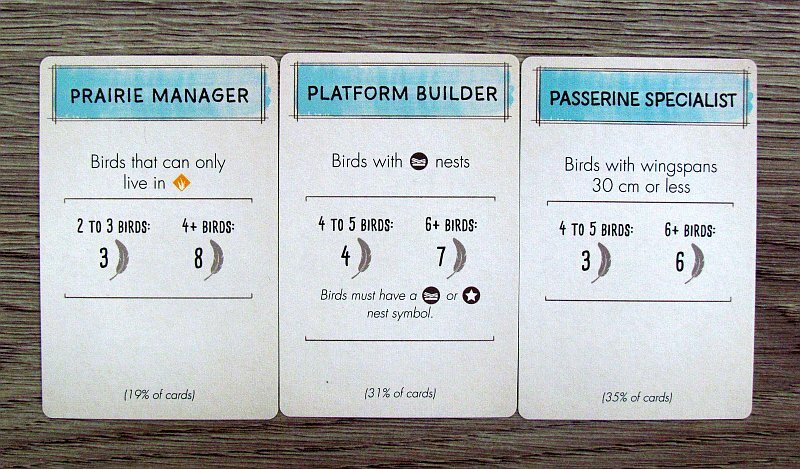 The player with the highest score in total is the best bird breeder in America. Wingspan is a game, that is unique from the first look. Focusing on the vast world of birds and trying to show it in its entirety with the help of simple mechanisms is a truly admirable goal. 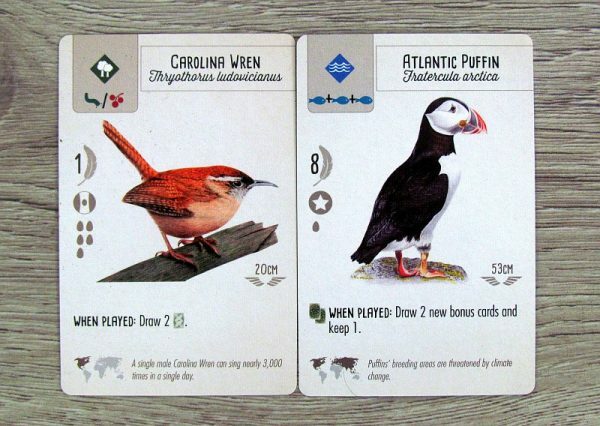 The game is dedicated to birds living in North America, although other local variants have not been excluded as expansions. 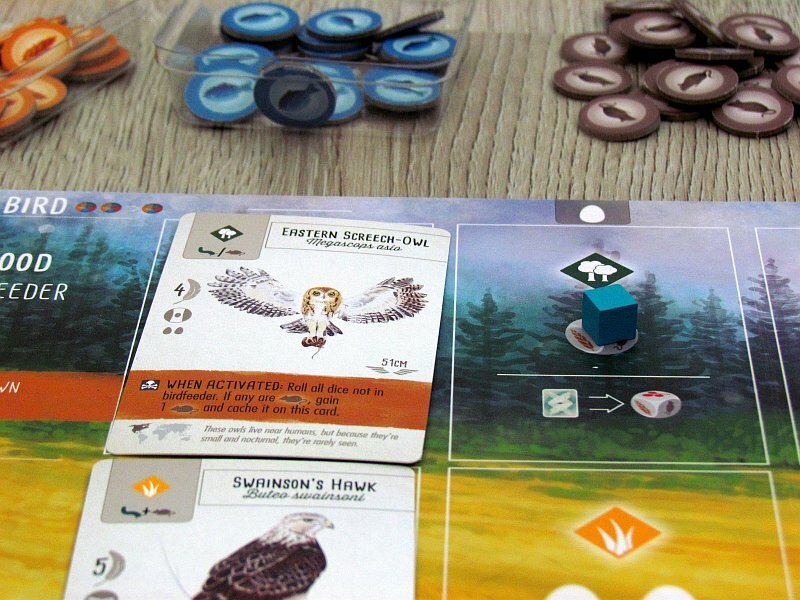 Although the different mechanisms are taken from other games, Wingspan’s overall feel is quite different and unique. 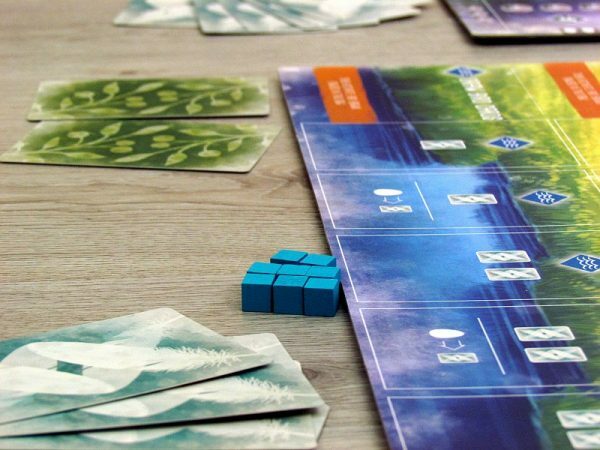 This is because, despite its euro gameplay, it is perfectly connected with the theme. Players must maintain their new breading engine. They try to lure new birds into the cage, feed them and get their eggs for it. Beautifully simple, elegant, but above all, overwhelmingly atmospheric (for a tactical game). However, it should be borne in mind, that the more cards in the row on your board, the stronger the line gets after playing cube there. 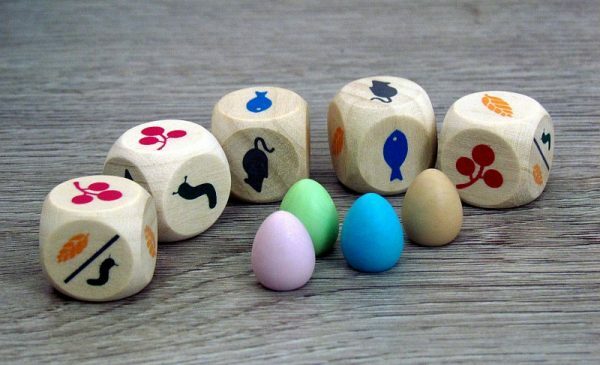 But even playing the bird in the farer columns is more demanding, as the price in the eggs increases. However, the reward for free positions is also constantly highter, so the player is rewarded for his efforts. 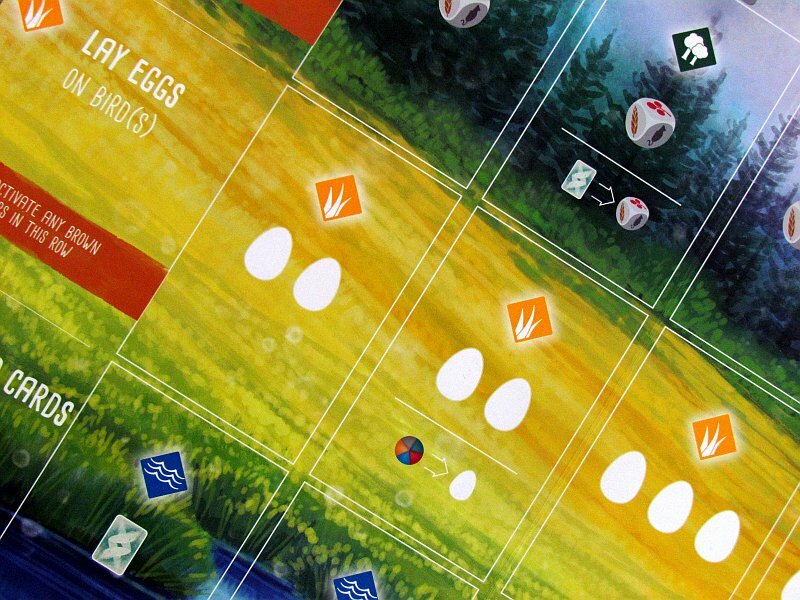 Excellent is the mechanism of gathering food, in which players randomly use dice symbols from a common stock. It is as if they were collecting food by their own beaks and then feeding the birds and loading new cards. The choice is always from several cards and thanks to great variability, players can keep track of their strategy. 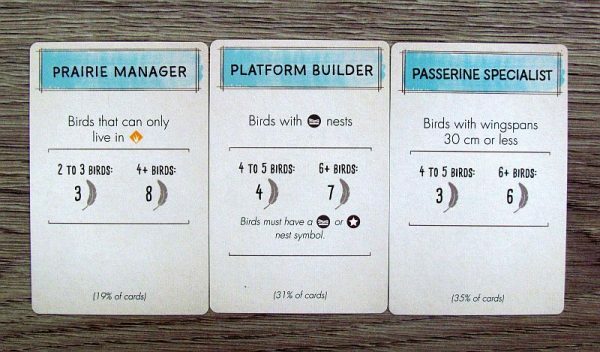 But while you’re trying to keep your aviaries constantly better, you need to keep in mind long-term targets in the form of tiles. They are public for all four rounds right from the start, so they can all arrange the rivals properly. Of course, it’s finally about the point profits, that decide and matches are mostly very tight until the end! We like the chances to prepare a combo from several neighbouring cards. 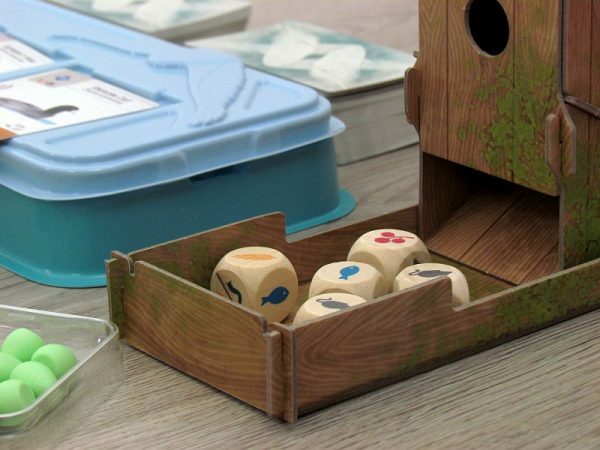 Each bird is activated every time a cube is placed in its row. And their skills are often really interesting. It is these moments, that are the shining stars of the gameplay, but also somewhat gray clouds, because they bring with them the waiting of the other players, until you evaluates your combo. 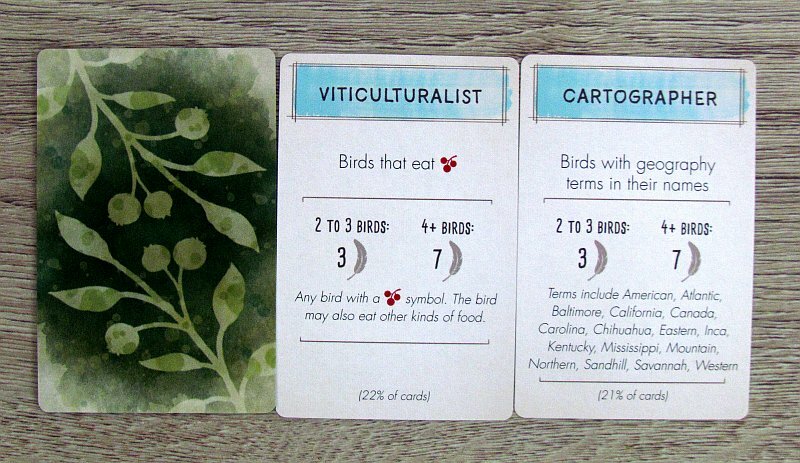 A huge number of cards means, that individual games can see completely different birds. This means, that the game is really variable. 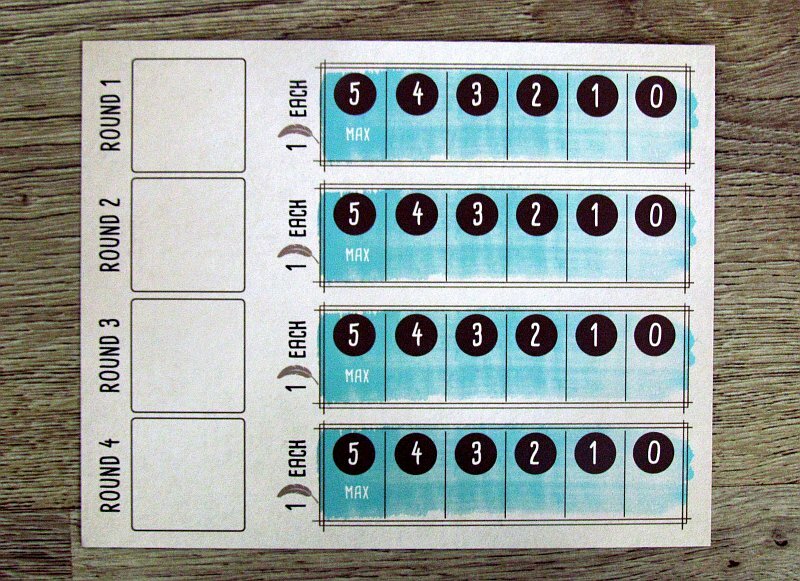 This also contributes to the double-sided scoreboard with bonus pieces, which each time has different rules. 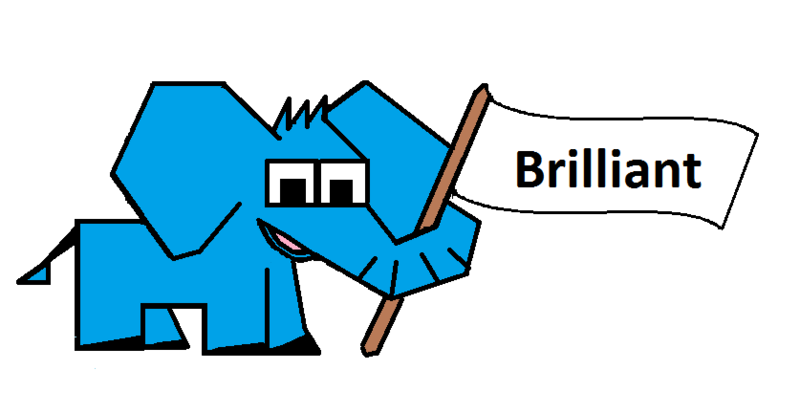 Besides, task goals for the individual rounds are randomly selected. It is very interesting, that the whole game is actually extremely simple. To teach new players is really easy. It lacks any direct player interaction, but this game is all about a calm pace. The match is quite intense and long, stretching over an hour. 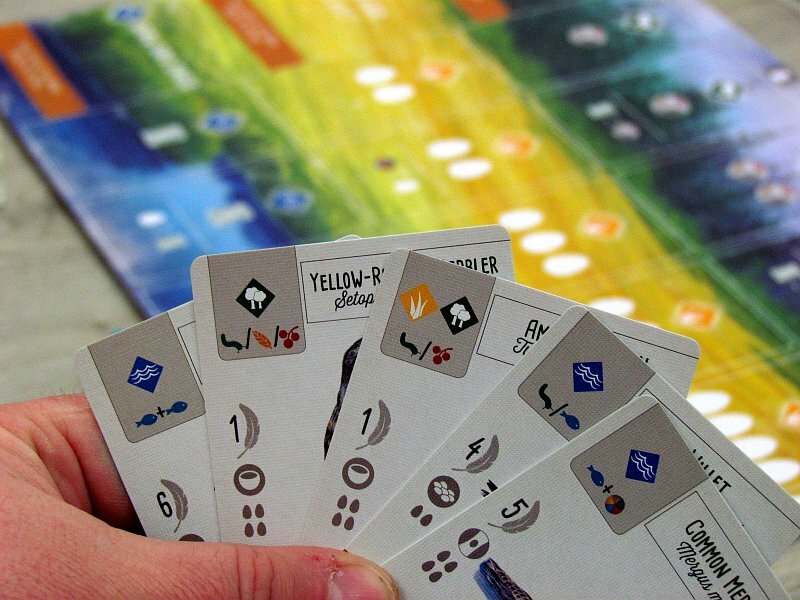 Since the players do not affect each other (except for occasional card activation outside of the turn), the impression is that their number may be influenced perhaps by waiting for the next turn. But since everybody always places only one dice, turns never get unbearably long. Thanks to this, it is also a delicacy in total. 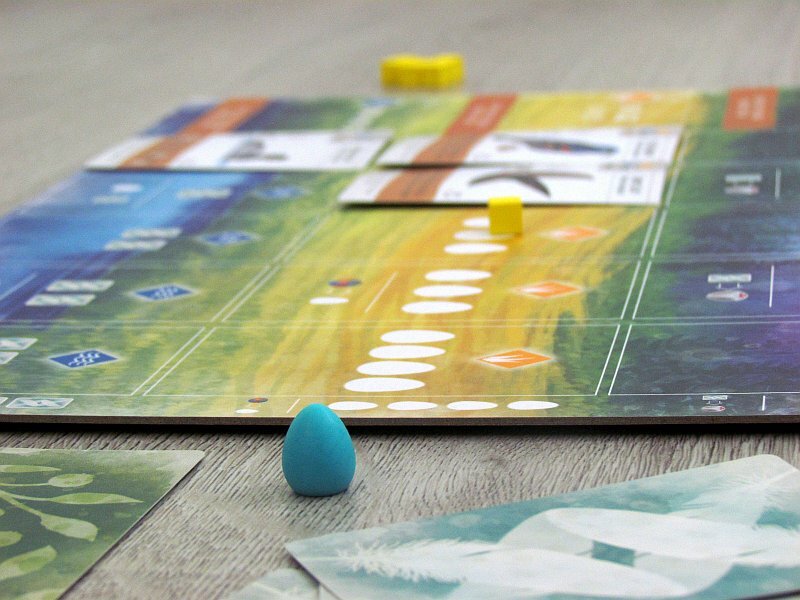 In addition, there is a robot called Automa in this box waiting to be found, which will allow for a solo game, that is also great! Processing is absolutely fabulous. You can argue, that the cardboard tower is unnecessary, but in terms of the thematic impact, it adds one tiny bow. But there is also a card holder, exquisitely rounded eggs, and even a velvet rule book. Every little thing has been given the right care. Building functional bird reproduction in ornithologists’ environment is something, that Wingspan keeps us amazed and entertained every time. Although the game is accompanied by great expectations, we are happy to report, that it will not let you down. 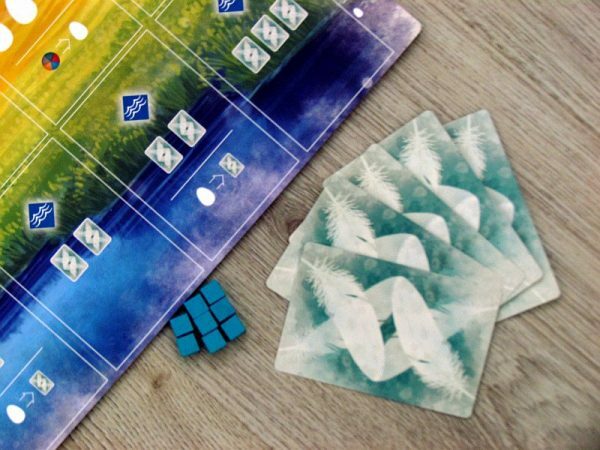 The fantastic look just makes the overall impression of a simple yet glamorous tactical game, whose story you will be happy to play back and over again. Wingspan is a real treat among newly published board games. Wingspan is a treat for anyone, who likes to build something. This time, it's an aviary full of birds, that need to be fed and their eggs collected. All this in an endless cycle and with the assigned tasks in mind. 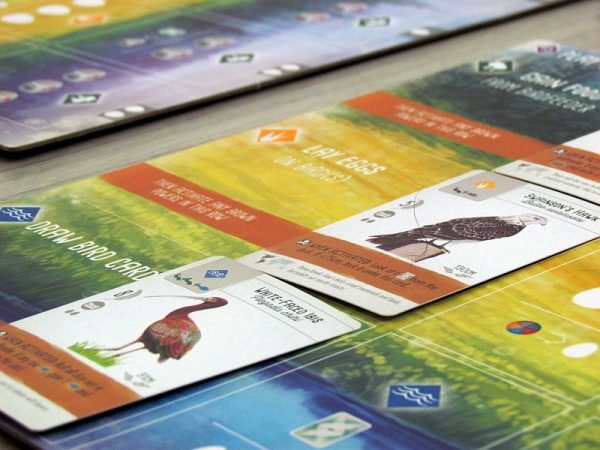 In addition to the great gameplay and fun, Wingspan also offers an unprecedented educational value. 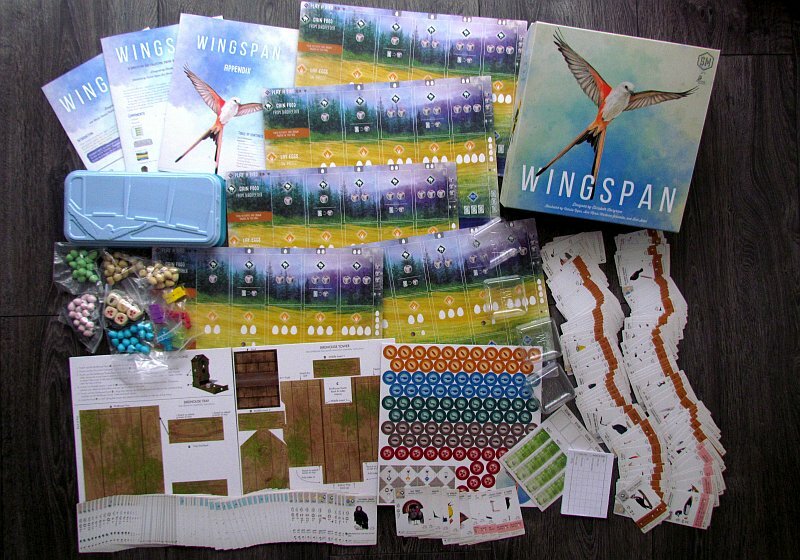 Wingspan deserves a really great compliment, because it handles a unique theme in an amahing and addictive way.